First and foremost, let me talk about my skin type. I have a combination skin type. This means that it is usually dry on the cheek areas and oily on the T-Zone. Clogged pores are my major skin problem ever since I was in high school. My pores are prone to congestion especially on the cheeks and the forehead area. I don't really get blackheads, but I often get whiteheads and tiny bumps. Even when my face is free from acne, the annoying bumps on my skin has been my insecurity when going out with bare face. Fortunately over time, I have learn some tips and tricks that had helped me to reduce the bumps, and overall improve my skin condition and confidence. If you're experiencing the same problem as me, then keep on reading! How can we get clogged pores? The pores on our face function as openings for the sebaceous glands underneath our skin to secrete oil for sweat, and to moisturize our skin. However, the pores can get clogged due to overproduction of oil, or simply clogged with dry or dead skin cells and everyday dirt that you get from the environment. This can overtime turn into acne and breakouts. Therefore, proper skin care routine need to be practiced in order to avoid our skin from getting clogged. Exfoliation is an important key in combating clogged pores. In my own experience, I seemed to get less clogged pores when I was first introduced with face scrub. Washing alone is not enough to remove clogged pores. What exfoliation does is, it helps to remove the build up that is clogging your pores as well as improving skin's renewal rate. When choosing an exfoliator, note that chemical exfoliate is usually better than physical exfoliate because the chemical ones helps to 'melt' away the substances in your clogged pores. So the next time you want to buy a face scrub, always pick the ones that includes ingredients such as Salicylic acid or AHA. 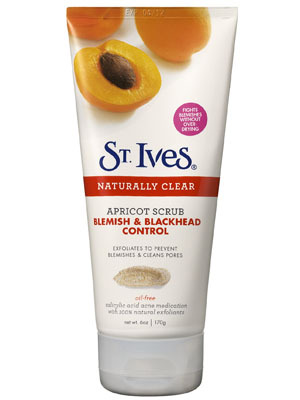 My favorite face scrub would be the Apricot Scrub by St. Ives. It really did wonders for my skin! Otherwise, you can try a DIY exfoliating toner by mixing 3 parts of filtered water with 1 part of Apple Cider Vinegar into a spray bottle and use a cotton pad to distribute the mixture on your face, and wash your face when it dries. Another DIY is to mix brown sugar with honey to scrub away the dead skin cells off your face. It is that easy! It is very important to keep your skin hydrated throughout the day because dry skin can contribute to clogged pores by having the dead skin cells congested into your pores. However, it is also important to read the ingredients on your moisturizer to make sure that none of the ingredients in your product would contribute to your pores getting clogged. Some of the common ingredients that can clog pores includes silicone, zinc oxide (usually in products that contains SPF) and Sodium Laureth Sulfate. Products that claims to be 'Non-Comedogenic' means that they are not tending to clog your pores. So, this can be a good reference when you're looking for a good moisturizer. 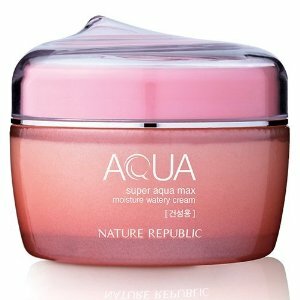 My current moisturizer is Super Aqua Max Moisture Watery Cream from Nature Republic. 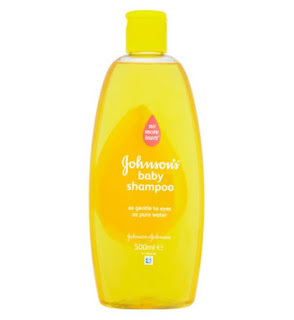 Comment below if you want a more in depth review about this product! Clean Clean Clean! You should wash all your makeup tools such as sponges and brushes at least once a week. I know it sounds like a lot but some of us really just don't care that much to wash their makeup tools that regularly whilst it being important. Dirty sponges and brushes simply provide a suitable environment for bacteria growth. Moreover, the oils and dirts that transfer from your skin to your make up tools might be the cause for your acne and bumps because you're basically transferring back all the bacteria from the tools back to your face, thus clogging your pores. Gross! Therefore, practice a good washing routine for your makeup sponges and brushes to avoid things like this from happening. You can make your own DIY brush or sponge cleaner by dipping your brush into a boil of olive oil, swirl it onto a tissue paper to get the products off of the brushes and rinse it under the tap water. By doing this, your brushes can stay conditioned and cleaned, and your face free from the dirt. Another option is to use baby shampoo like I do to wash your makeup brushes. Very easy and very gentle. So these are my top three tips and tricks on how to get our skin free from clogged pores. Remember that the result won't be an overnight achievement. Keeping a good skincare routine and be consistent in the routine is the key! Good luck.